This pristine location and cooler climate convinced the British Raj to establish their summer capital in Shimla to avoid the suffocating heat of Delhi summers. The remnants of this era line the streets of Shimla, with mock-Tudor houses and classically styled municipal buildings that would not look out of place in any British town. 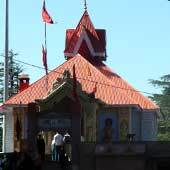 Shimla is a unique destination and is the most accessible of India’s hill stations, which make it ideal as a two day excursion from Delhi or introduction to the mountain states. 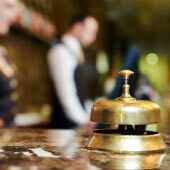 Let us here at ShimlaIndiaGuide.com show to you why you should include this wonderful colonial city in your visit to India. 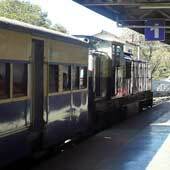 Shimla’s Location and Why Visit? 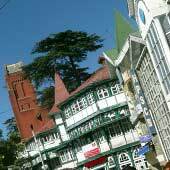 Shimla is a precariously positioned city, situated along a steep ridge of the Himalayan foothills. To the south the hills lessen to the plains of Delhi while to the north the peaks rise up to merge with the cloud line. The main street of Shimla, which runs the length of the ridge, is the only flat surface of the capital while all other roads fall away to the valley floor on either side of the ridge. The scenery of Shimla is beautiful. 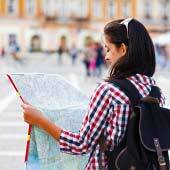 As a tourist destination there are numerous attractions and activities that can easily fill two busy days. Shimla combines historical sights, pleasant hikes and a lively night life of bars and restaurants. Popular short hikes include the walk to Jakhoo Hill and the newly constructed statue of Hanaum which towers above the city. In the opposite direction leads to the summit of observation hill and the old Viceroy Lodge where once all of India was ruled from. The centre of Shimla is traffic free and is a favourite location for well to do Indians to stroll amongst the perfectly maintain colonial architecture. One of the highlights to the region is the railway that connects Shimla with Kalka, the train of this 19th century engineering marvel slowly weaves through the 108 tunnels and bridges and was one of the world’s most difficult railways to construct. 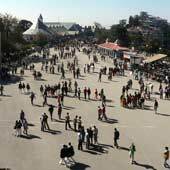 Shimla boasts three main shopping streets selling specialist wares of the region and along these streets are numerous bars and restaurants. Shimla is an ideal destination for onward travel as from the state capital bus station there are routes to every region of Himachal Pradesh. Shimla is a suitable destination as a short excursion from Delhi. 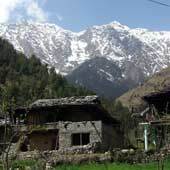 Delhi and the other cities of the plains are drain, demanding and challenging, especially in the hot summer season and Shimla offers a cooling and comparative relaxed alternative. 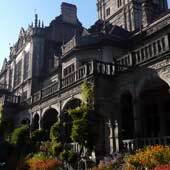 Shimla is a destination will appeal to all styles and types of visitors and is a highly recommended Indian destination to visit, let us at ShimlaIndiaGuide.com show to you this city which we have a passion for.